Motorcycle accidents can leave individuals with catastrophic injuries, astronomical medical debt, and an uncertain physical and financial future. Though Georgia motorcyclists hurt in crashes caused by another person or company's negligence can seek compensation for damages, there are a number of common mistakes which jeopardize their ability to collect a fair financial recovery. If you're considering pursuing compensation for injuries sustained in a motorcycle accident that wasn't your fault, avoid these case-damaging errors. Apologizing after an accident may be second nature for some people, but for motorcycle accident victims, it's an instinct they should work hard to squash. In bike crash cases, fault should be determined by the outcome of an investigation, not a casual apology at the scene of an accident. 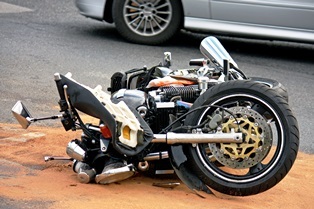 Motorcycle accident victims should seek medical attention as soon as possible after a crash, even if they don't think they're seriously injured. Some medical conditions may be missed by individuals immediately after a wreck due to a flood of adrenaline and other hormones. Waiting too long to be examined by a doctor gives insurance companies and defense attorneys the opportunity to suggest that late-appearing injuries were unrelated to the motorcycle crash. Insurance adjusters are tasked with protecting the company's bottom line—not ensuring you receive a fair settlement for your motorcycle accident injuries. Carriers often hound crash victims for information, including recorded statements, which can then be used against them. To prevent insurance adjusters from handling your claim unfairly, have a savvy motorcycle accident attorney negotiate on your behalf. When a crash claim is filed, insurance adjusters and defense attorneys often comb through victims' social media accounts. They're looking for posts, photos, and other information that can be misconstrued to cast doubt on someone's personal injury case. While it's imperative to avoid posting about the accident or lawsuit, it's even better to not post on social media at all until your case is resolved. Ask friends and family not to as well. Injured motorcyclists should consult a knowledgeable personal injury attorney as soon as possible after an accident to ensure they understand their legal rights and options, and can recognize and avoid unfair treatment. Contact the experienced attorneys with Van Sant Law today to schedule an appointment for a free initial case consultation.